Ipswich Kids! It's that time again! Find your favorite "house" in Ipswich (it can even be your own) and get creative! All mediums accepted, 8.5x11 preferred. Perfect project for April school vacation. 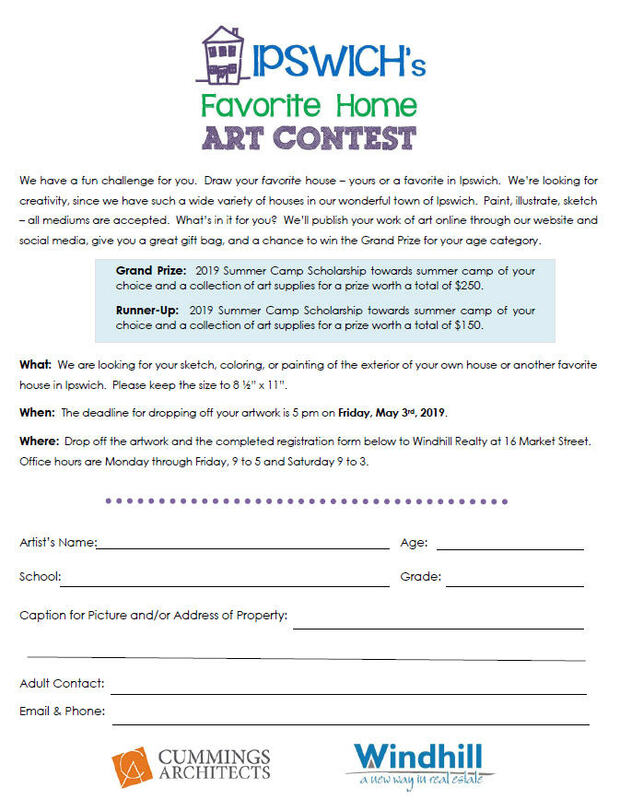 Drop your artwork off at our office, along with the entry form below, no later than Saturday, May 3rd, 2019. Keep an eye on our facebook page for your masterpieces! Paper registration forms are also available at our office. Stop by our office or the Ipswich Public Library any time for an entry form. You can also fill one out at our office when you deliver your masterpiece. Thank you to this year's co-sponsor Cummings Architects for supporting this great community event! It get's bigger every year!